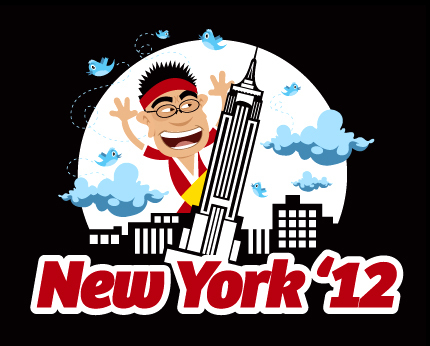 Check out my new Twitter Master NYC t-shirt design (larger version here) with the help of awesome illustrator Ricardo Gimenes. I'll will be bringing these with me on my first trip ever to New York City. If you want one, come find me New Yorkers!